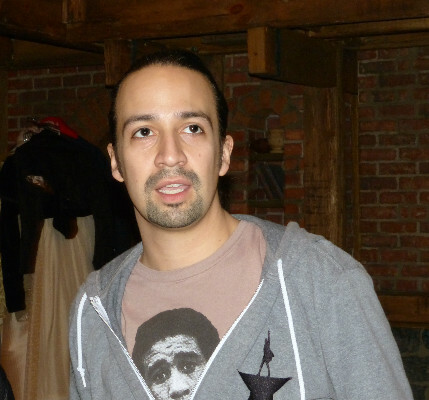 Lin Manuel Miranda the genius behind Hamilton. Giuliano photo. PBS President and CEO Paula Kerger announce that it will air HAMILTON’S AMERICA, a feature film documentary providing intimate access to Lin-Manuel Miranda and his colleagues during the two years leading up to the Broadway opening of the musical Hamilton. A contemporary perspective of Lin-Manuel Miranda’s revolutionary musical based on the life of United States Founding Father Alexander Hamilton, HAMILTON’S AMERICA will come to GREAT PERFORMANCES in the fall 2016, and will be a highlight of PBS’s Arts programming. HAMILTON’S AMERICA is produced by Academy Award® and Emmy®-Winning producers RadicalMedia (What Happened Miss Simone?, Keith Richards: Under The Influence, In the Heights: Chasing Broadway Dreams for PBS). The documentary combines interviews with experts and prominent personalities, new footage of the production in New York, and cast-led expeditions to DC, Philadelphia and New York. Audiences will sit with Miranda as he composes songs in Aaron Burr’s Manhattan bedroom. They’ll take a trip to Virginia with Chris Jackson – the African-American actor who portrays George Washington – and watch him place a wreath on Washington’s grave, as he discusses the difficulty of grappling with our founders’ legacy of slavery. Back in New York, Miranda and Leslie Odom, Jr. – who plays Aaron Burr – visit the Museum of American Finance to get their hands on some 19th-century dueling pistols and stage a quick re-enactment.